Plants manufacture various ‘compounds’ as they grow, some being simpler to make and others being more complex. 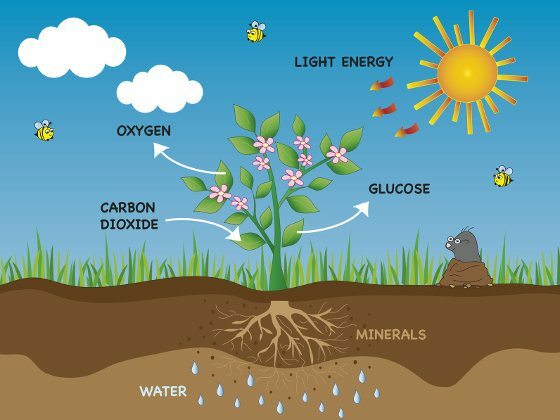 Sugars are the simplest of these compounds – they’re created during photosynthesis. A large amount of these sugars – in many cases over 50% – will be pushed by the plants into the soil through their roots. 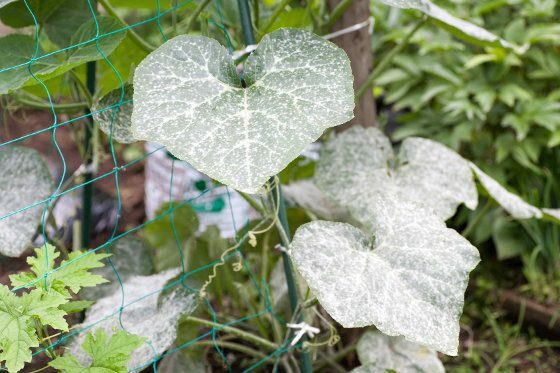 They do this in order to attract and feed the beneficial microorganisms there, who in turn will supply minerals and other important substances to the plants. With those minerals and other substances, the plants can build more and more complex carbohydrates, and then proteins, and then fats, and then various phytochemicals such as antioxidants. The process isn’t strictly linear – for example, plants don’t create all of their carbohydrates before moving to proteins. That being said, when they don’t have optimal growing conditions, they have an easier time creating the simple sugars than they do carbohydrates, and an easier time creating carbohydrates than proteins, and so on. So we can think of each stage at least partially as a building block for the next stage: Simple sugars -> complex carbohydrates -> proteins -> fats -> phytochemicals. Struggling plants will have some point in that chain where they aren’t doing a great job synthesizing those compounds and everything more complex than those compounds. 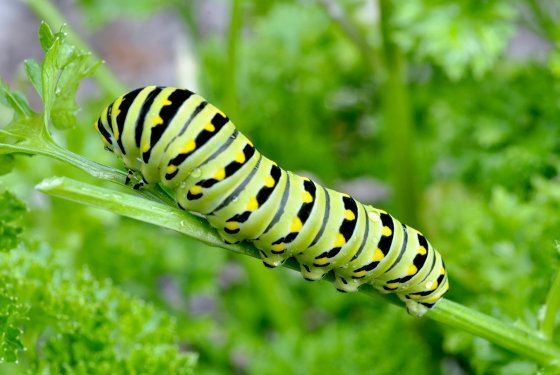 Where it gets really interesting is that certain types of plant predators (what we call pests) will visit a plant depending on where that plant is struggling in the chain. I learned the following from Dan Kittredge, founder of the Bionutrient Food Association. Carbohydrates. 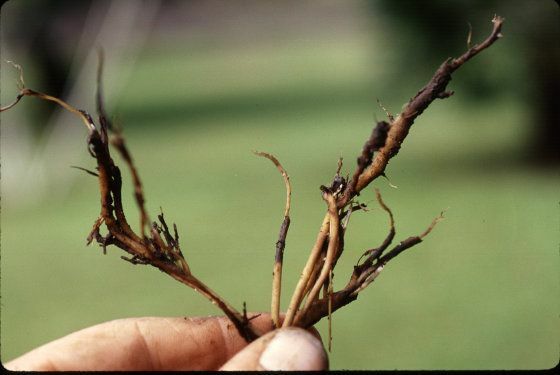 If the plant can’t even properly manufacture its carbohydrates, you’re going to see the soil-borne diseases (disease meaning microorganisms) such as Fusarium and Pythium. When these are present, things are really out of whack. Proteins. 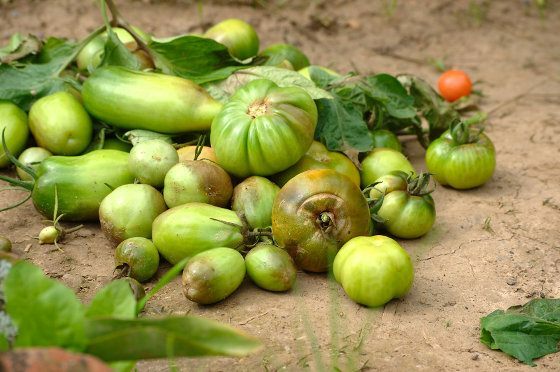 If the plant can’t properly manufacture all of its proteins, which is common for many plants even though this is only halfway up the chain, you’re going to see the larval forms of many insect pests, such as Caterpillars, Tomato Hornworms and Grubs. Fats. If the plant can’t properly manufacture its fats, you’re not going to have nice glossy, waxy leaves, which is very common, and you’re going to see the air-borne pathogens such as Blight and Mildew. Phytochemicals. 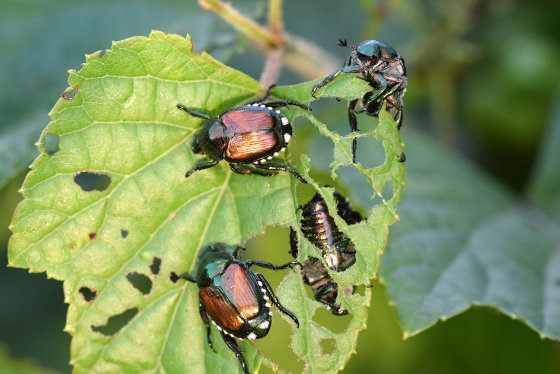 Last, if the plant can’t properly manufacture its most complex compounds (the antioxidants and thousands of other phytocompounds), you’re going to see the beetles, which are higher-level insects. This final stage is generally not attained well in today’s foods, and that is a big reason why these foods don’t taste good like they used to, because the phytochemicals play a huge part in taste (and smell). That’s also, I believe, a big reason why I got the flu this winter, and why we have so much cancer and other disease right now – our grocery store foods aren’t providing us with the disease-fighting compounds that are vital to our health. When a plant can properly manufacture its carbohydrates, proteins, fats and phytochemicals, there are no more pests. They go elsewhere because they’re looking for those imbalances and your plants don’t have them anymore. As for all of the things we can do with this information, we’re still in the process of figuring that out. For example, let’s say my tomatoes are covered in late blight, which when I look at the above list makes me think they’re having a difficult time manufacturing their fats. What we do about that currently is do our best to make sure they have the right growing conditions – sunlight, water, air, temperature, biology and chemistry. I imagine some day we’ll be better at customizing our interventions specifically for plants that are ‘stuck’ at each of these levels. But either way, we already know what works overall – the more we optimize garden health, which is what I’ll be showing in the checklist in a couple of days, the better our plants can manufacture these compounds, and the fewer pests we’ll have. So stay tuned for that checklist, and in the meantime, if you want to learn more about how we can use biology and chemistry to dramatically reduce your pest problems, you can read this post I wrote last year (and updated yesterday). And fewer pests is just the beginning – as I shared last time, we also get more nutritious foods, better flavor, increased yields and longer storage life.